A SEEDIG intern needs to have a passion for Internet policy and a desire to strengthen SEE+’s position on the Internet governance map! Applications are closed. We received 29 applications! We will proceed with review of the applications and selection of the interns. 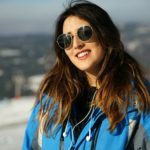 What happens after the deadline for applications? All applications are reviewed by the Executive Committee. Only shortlisted candidates will be contacted and invited for interviews and, possibly, asked to complete a written assignment (to directly assess whether the candidates meet the eligibility criteria). For example, we could ask you to write a short text (some 150 words) about an Internet governance development or event. Curious about the internship experience? The internship with SEEDIG has truly been an enriching experience. The field of Internet governance is multifaceted and complex, and SEEDIG reflects this through its multistakeholder approach and wide regional scope. I enjoyed employing old and new skills in helping the Executive Committee organise the annual meeting and numerous intersessional activities. The best part has probably been getting to know the SEEDIG community which gathers many wonderful IG practitioners from the SEE+ region and connect with them. From creating a survey, to organising the Youth School and the Fellowship, the internship was a dynamic, versatile experience. I am very grateful I got to learn from knowledgeable mentors that are very approachable and ready to support their team members. Overall, I highly recommend the internship to young people from the region that are interested in Internet governance! 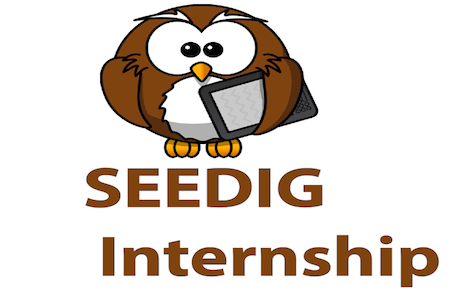 When I applied for the SEEDIG Internship, I had never heard of SEEDIG before and I was relatively new to the field of Internet governance. But once selected, I found myself in a cozy environment with welcoming people and a great community working together as a family. Engaging with them and working side by side online, but also onsite, in the context of the annual meeting, was a marvelous experience itself. 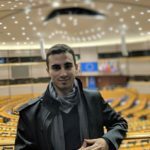 This internship was an opportunity for me to understand better the field of Internet governance, gain new skills, and at the same time help with organising the event itself. Furthermore, after my contribution as an intern, I decided to stay engaged as a regular member of the SEEDIG Team, a new e-family. I would suggest without a second thought the SEEDIG Internship to those who are interested in Internet governance and digital policy. 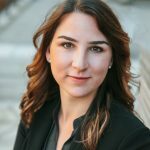 I was a SEEDIG intern in 2018 and I had a great experience. I must say that it wasn't that easy always because we had a lot of work but as a team we managed to do it all together. I met so many great people from different countries and shared experience with them. I also have learned a lot from being an intern and those things will be useful in my future. I am always looking forward to new conferences and SEEDIG events so we can all meet together again. Write to the Executive Committee, at execom@seedig.net.